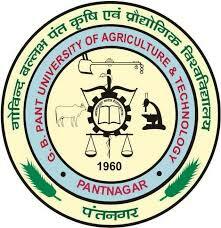 Govind Ballabh Pant University of Agriculture and Technology, Pantnagar was established in 1960 by an Act of the State Legislature of Uttar Pradesh ( XLV of 1958 ) in the Tarai region of Uttar Pradesh (now Uttarakhand). It was dedicated to the nation on 17th November 1960 by the First Prime Minister of India, Pt. Jawaharlal Nehru. Applications are invited for Entrance Examination-2015 for admission to Undergraduate, Masters’, MCA (except M.Tech.) and Ph.D. programmes of the University from the Bonafide residents of Uttarakhand. The admission to M.Tech. programmes will be done on the basis of GATE score and B.Tech. merit. Candidate from other states may apply for admission to M.C.A., M.Tech. and Ph.D. Programmes only. The Wards of Kashmiri Migrants and J & K Residents may apply for admission to Undergraduate Programmes only.